Smartphones were undoubtedly the biggest technology of the last 7 years, and as time rolls on it’s starting to become apparent that wearables are going to play a big part in the future of mobile technology. One thing that was expected to explode inside the last ten years is Virtual Reality, but alas, it’s fallen by the wayside. A company called Oculus has been trying to set that particular problem straight for a little while, and it’s been doing such a good job that Facebook went out and bought it. Keen to avoid being left behind, Samsung is also said to be hard at work bringing its own VR headset to market, and we’ve now been given our first sneak peak at what it may look like. With a Samsung VR headset expected to be shown off at the upcoming IFA event, the new leak appear to show Samsung’s headset for the first time. 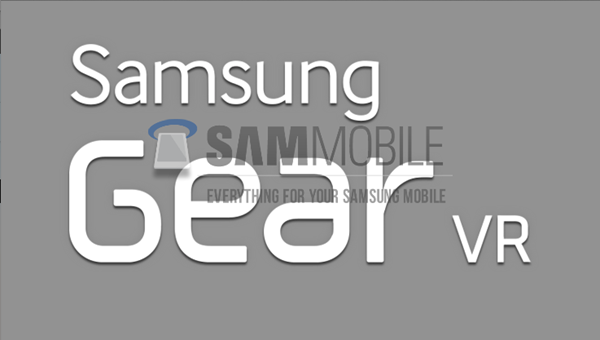 What is clear is that, rather than being an Oculus Rift-type affair, the Samsung Gear VR as it seems it will be known, will require a smartphone in order to function. Much like the ‘Cardboard’ effort given to Google I/O attendees by the search giant, the Gear VR will connect to a smartphone via USB 3.0 and use its built-in sensors to help make the relevant magic happen. The headset is expected to be announced alongside the Galaxy Note 4, so it’s a fairly safe bet that the two will be compatible, too. As for software, Samsung is partnering with Oculus itself in order to make things work, but the hardware is all Samsung. 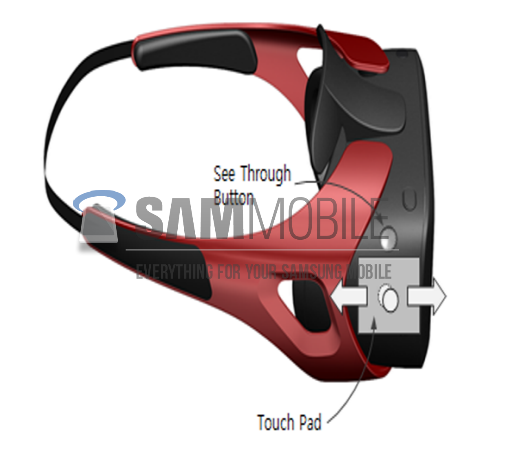 The photo that has leaked seems to be from a manual of some sort, and highlights two buttons on the side of the device; one called the ‘See Through Button,’ and the other named the ‘Touch Pad.’ We’ll have to wait and see just what these things do when Samsung unveils the Gear VR officially. If Virtual Reality is to take off and enter the mainstream proper, it’s going to need companies like Samsung to make a success of things like the Gear VR. Whether people actually want VR or not, remains to be seen. Let’s just hope it’s not a wasted effort like the ones we’ve seen many times.